Her calf is dead but an orca mother has been spotted in a heartbreaking exhibition of maternal care - or grief - gently trying to keep her offspring afloat. As the carcass sinks in the water she has been gently using her forehead to prop it out of the water and nudge it onwards in choppy seas for the past two days, according to researchers who say the population of whales along the British Columbia coastline is struggling to reproduce. Ken Balcomb of the Centre for Whale Research, said food shortages - including the endangered Chinook salmon - meant females were unable to deliver healthy offspring. The calf only survived for about 45 minutes and was the first born to the pod off the West Coast in the past three years, he told ABC News. “They should be having nine babies a year - anywhere from six to nine babies a year,” he said. However, this cow had not given birth in the past three years after previously having several each year. 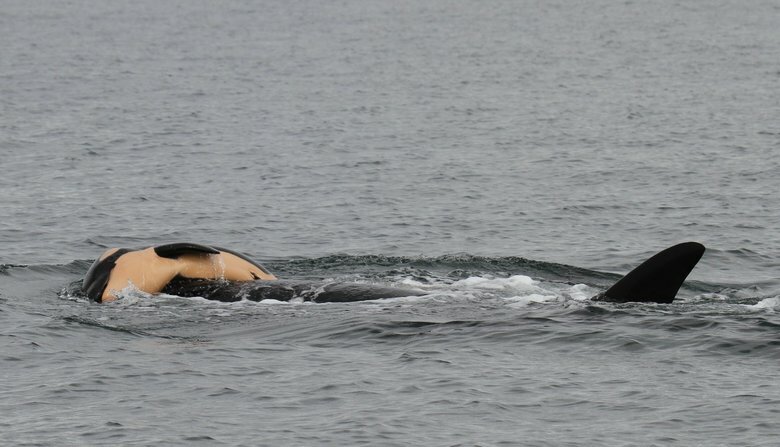 The newborn calf was born to J35, as the mother is known, while the pod passed along the shore of Victoria. But by the time researchers scrambled to photograph and document the new arrival it had died. Since its death, the population has travelled several miles towards the US territory of San Juan Island. A resident told the Centre for Whale Research, that five or six females appeared to move in a tight-knit circle, rotating for almost two hours.pod engaged in what appeared to be a moonlit ceremony. “As the light dimmed, I was able to watch them continue what seemed to be a ritual or ceremony," they said. "They stayed directly centered in the moonbeam, even as it moved. The lighting was too dim to see if the baby was still being kept afloat. It was both sad and special to witness this behaviour." Scientists have document previous examples of whales mourning dead calves, sometimes keeping them afloat on the heads or in their mouths. 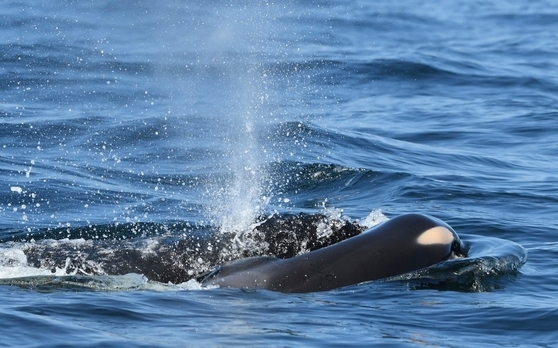 The orca population of the Pacific North West has reached a 30-year low of 75. 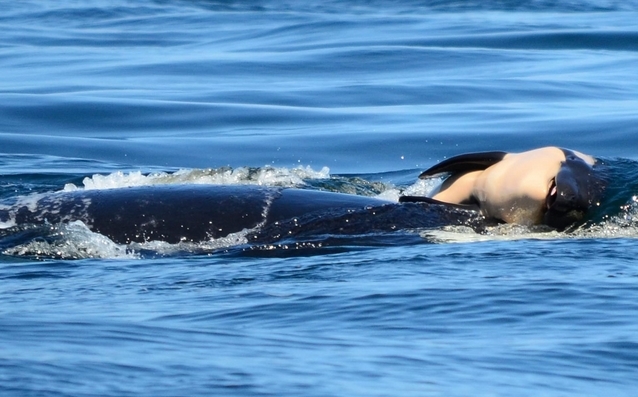 Responses to "Grieving Orca Carries Her Dead Calf For Two Days "